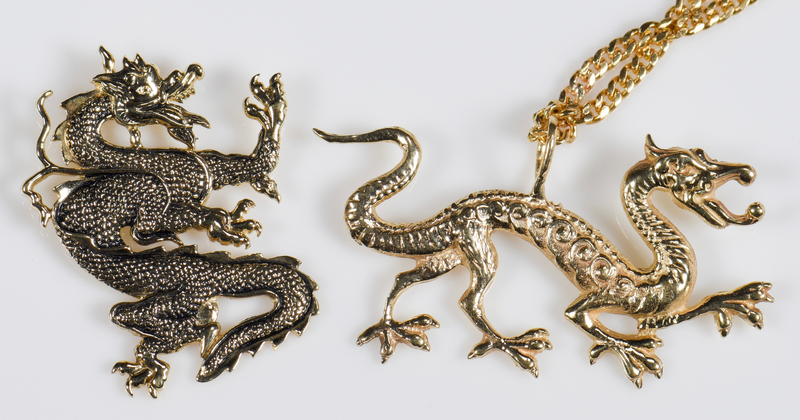 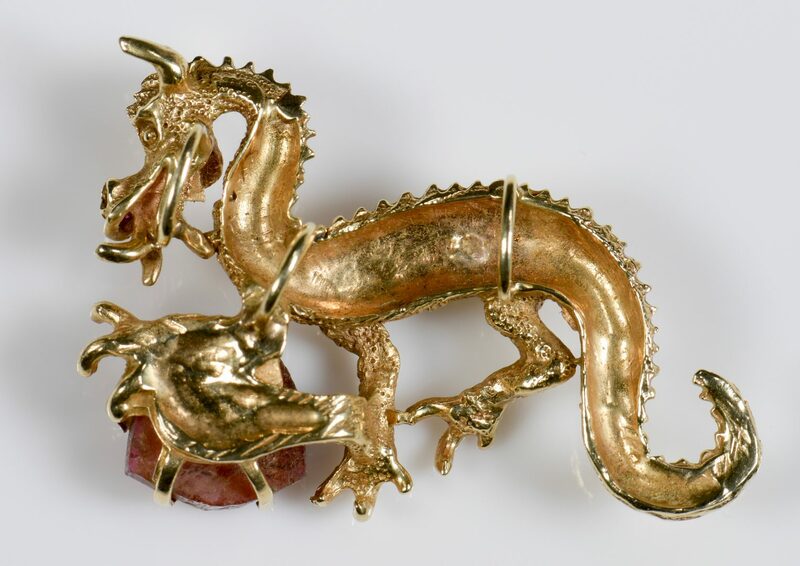 Group of three 14K yellow gold dragon pendants. 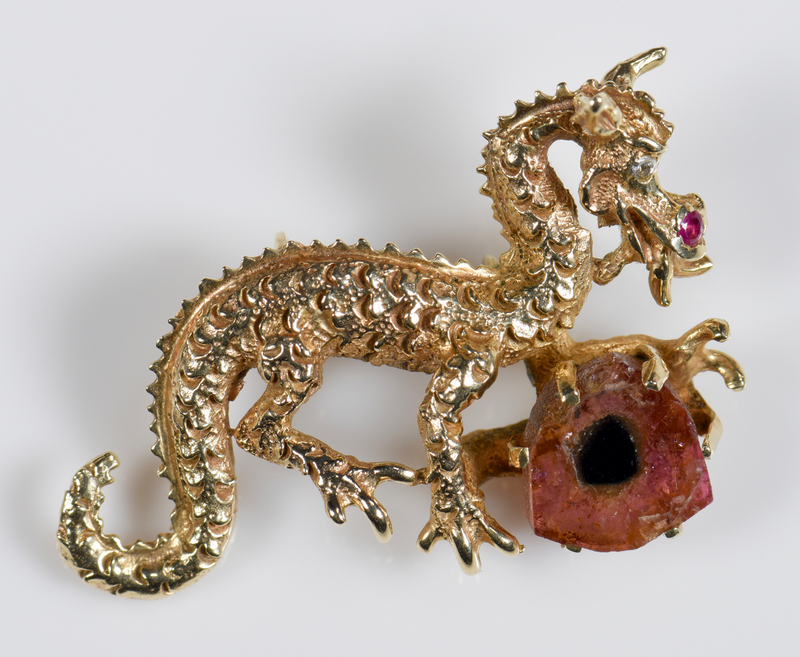 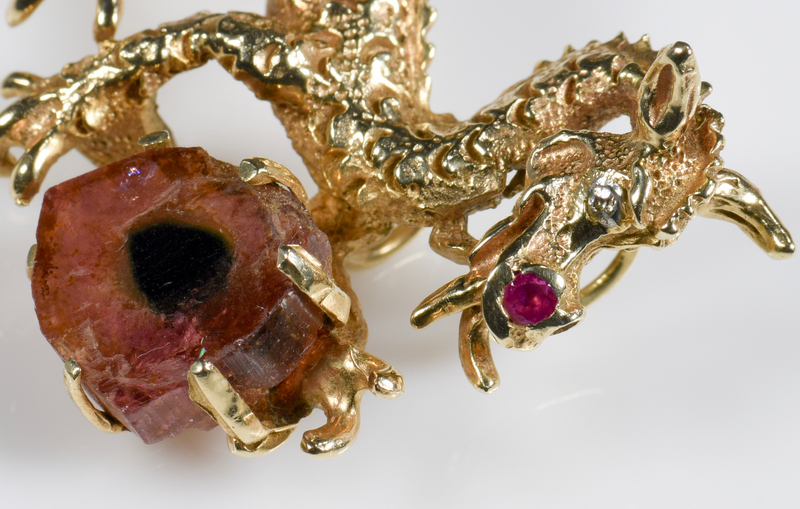 1st item: 14K dragon pendant, diamond eye and ruby nostril and holding pink tourmaline geode. 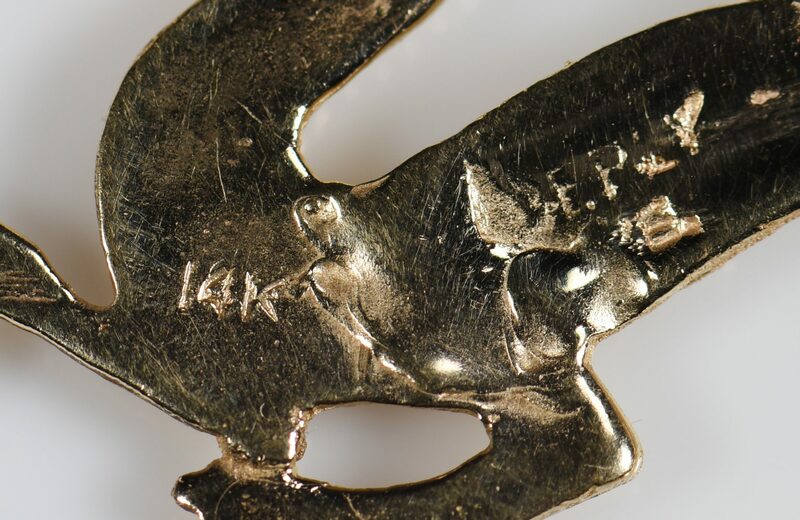 1 1/4" H x 1 3/4" W with 3 bails on back. Tested as 14K, 14.3 grams. 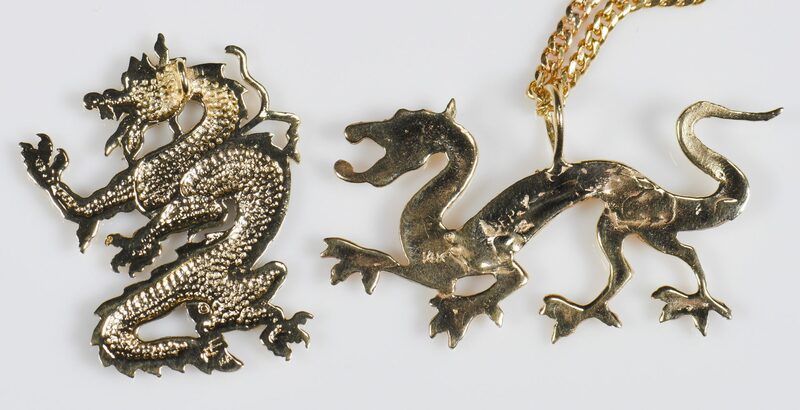 2nd and 3rd items: Two 14K dragon pendants, one with black highlights (1 1/4" H) and one 14K (tested) 23" L chain, 20.6 grams total. 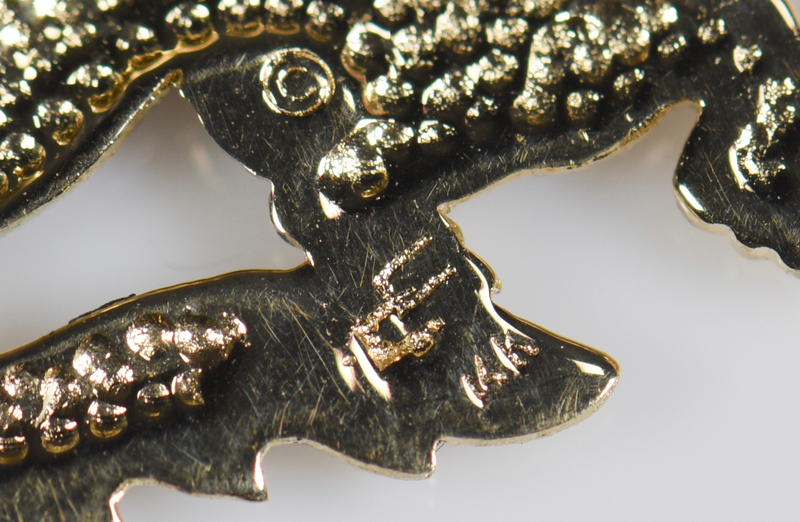 CONDITION: All in very good condition except for scratch across geode.